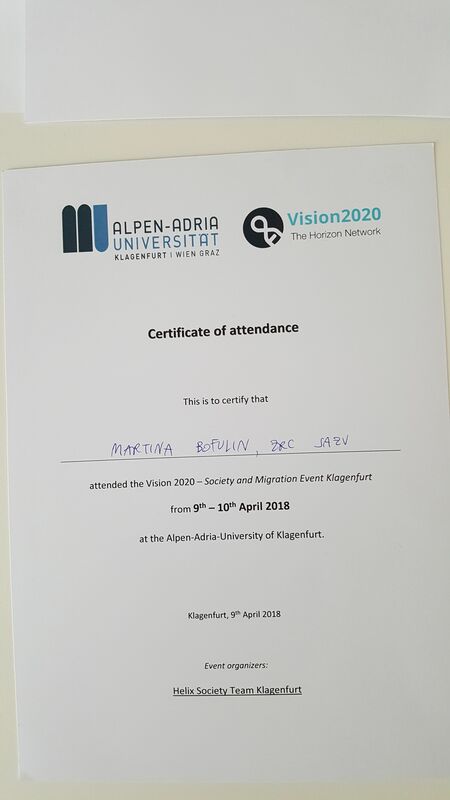 DRIM project leader Martina Bofulin attended the Vision 2020 event "Society and Migration Event" in Klagenfurt. The event took place at the Alpen-Adria-University of Klagenfurt from 9th to 10th of April 2018. The match-making event was organised with the aim to form a future consortium for H2020 in the field of migration. DRIM joined with the aim of ensuring the sustainability of DRIM products in the future.